Would You Play Video Games With President Obama? If you could play a video game with any celebrity, who would it be? A recent survey conducted by Weekly Reader Research reveals that boys aged 8-17 want to get their game on with President Obama. Who did girls pick? 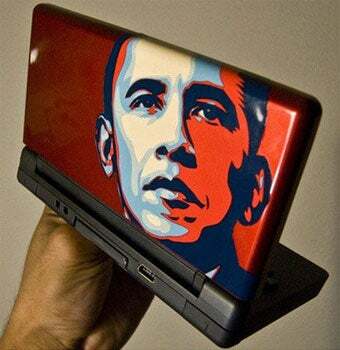 President Barack Obama better start boning up on his Wii Bowling skills. The survey, commissioned by video game retailer Game Crazy, polled 1,005 boys and girls between the ages of 8 and 17, asking them what celebrity they'd like to take on in a video game battle. President Obama took the top spot in the boys' list, with 25% of male respondents choosing him as their ideal opponent. The President triumphed over New England Patriots quarterback Tom Brady, who scored 14% of the vote, as well as actor Seth Rogen, aquaman Michael Phelps, and the Jonas Brothers, each tied for third place with 12%. The President didn't fare quite as well with females, taking second place with 13%, losing to Miley Cyrus and the Jonas Brothers, both garnering 23% of the vote. Lady Gaga took third with 9%, while Tomb Raider Angelina Jolie brought up the rear with 7%. I've an odd feeling that Angelina would have scored much higher with the 18-35 year-old male demographic. The survey also asked kids which famous rivalries they'd like to see settled by video game competitions. 43% of boys picked the NBA's LeBron James versus Kobe Bryant, while 34% of girls played the Twilight card, calling for a duel between Edward Cullen and Jacob Black for Belle's love, proving once again that there is something seriously wrong with the majority of girls aged 8-17.